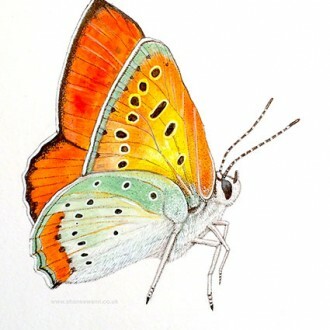 I’ve always been interested wildlife and nature, but I think I was also becoming partly inspired by the art displayed in the gallery I worked in at the time. Everything exhibited was quite traditional and much of it featured wildlife as subject matter. This was a stark contrast from the influences that surrounded me at college, where I had been amongst wacky arty types trying to express their mind and soul through colour, texture, energy and concept. So its no wonder my style was changing due to the current environment I was in. My first attempts at drawing animals were rubbish, because I was taking the same approach that I would to create my abstracts. I was basically just using my imagination and not using any reference material. 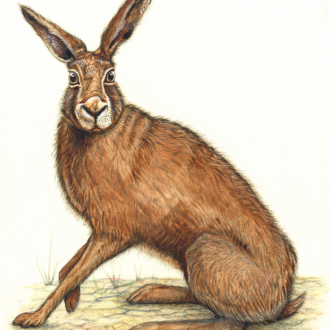 I would say to myself, ‘I know what a hare looks like’ because I had a vague impression in my mind. But really I was kidding myself, because my hare drawings were looking awful when I was trying to them like this. For example, some looked like dogs with rabbit ears, some like chinchillas, one even looked like a dinosaur! 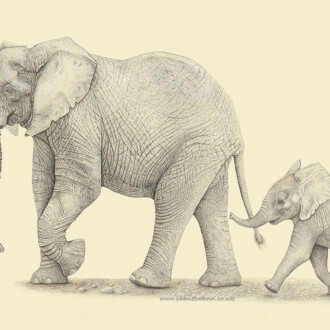 Eventually I realised I needed to properly study the animals I wanted to draw, by watching them in the wild, looking hard for long periods of time at the form, detail and everything, to try and imprint the actually form in my mind’s eye. I even had to try to visualise and work out how all the bones, muscles etc fit together underneath the skin, so when it came to drawing them it would look believable. I think by doing this lead me to overcome the issues I was having before, because my animals were starting to look alright. What I wanted to do next was to try and give my animals a unique stylised appearance, because even though I had moved away from more imagination based art, I still wanted to create something that looked a bit different and not completely realism. So I began to experiment with various things, for example how I drew their eyes, and I also got really into drawing the texture of the fur, this became so stylised, it started to become quite abstract itself. 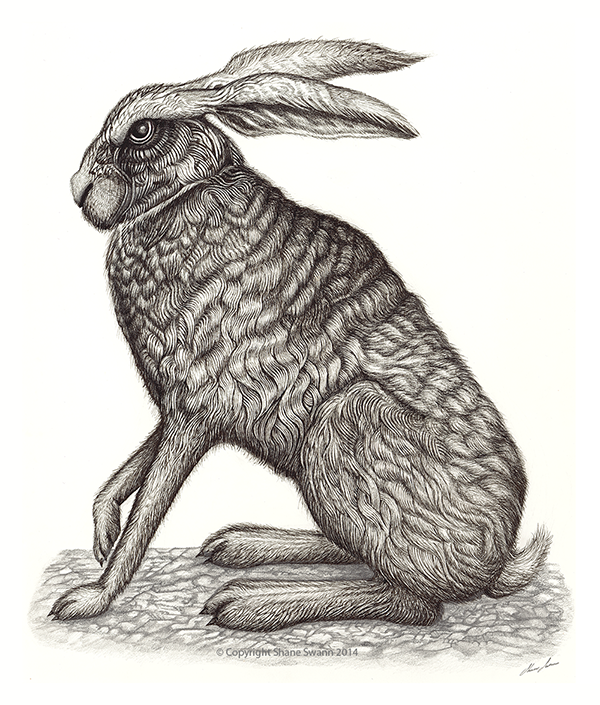 With the Silver hare in particular, at the time of drawing it, I was becoming quite interested in Victorian style mezzotint aesthetic and etchings. I really liked the gloomy, almost gothic mood they convey. I drew the Silver hare with 0.05 fine liner pens, which are so fine, if you draw in a certain manner, you can create a drypoint etching effect.